It’s time to update the most popular article on this site. Important information for some of you: this version supports Windows 8. First of all thanks for sharing Roboguide trial with us. But, it seems like the files you uploaded are corrupted, from version 7, 7.7 and 8. All missing the „data3.cab”. Could you check it? Strange. I don’t have any problems with any version published here. Sorry for disturb, but do you have frvrc v8.20? Or may be newer roboguide? Unfortunately, I don’t have never version. I am downloading it, thanks! Could you give me a link to download fanuc PCDK Plus? I was trying install this version on Virtual Machine with Windows 7 32 bits. I’ve tried open the handlingpro and the license manager requested the license file. I forgot say how this happened. Could you help me? You have to install Roboguide on „normal” Windows, not on VM. License manager doesn’t allow to run program on VM. Thank you, man! I’ll install on my machine, no VM. Thank you for sharing this program. It was very helpful. do you have Weldpro with Roboguide 8 E? 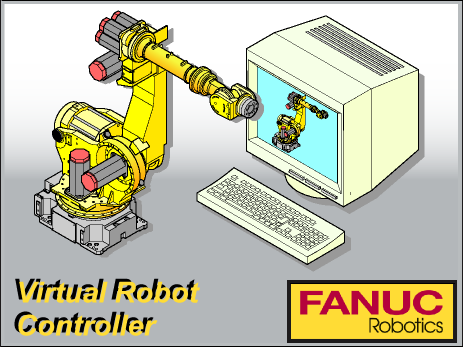 I use a Fanuc M710i with RJ2 controller. After a lot of searching around with the program and the FRVRC controller versions, the oldest one is FRVRC v5.30 which only supports RJ3 controllers. Is there a way to find a Virtual Robot Controller for RJ2 M710i?